The University of Michigan-Flint is a comprehensive urban university of diverse learners and scholars committed to advancing our local and global communities. In the University of Michigan tradition, we value excellence in teaching, learning and scholarship; student centeredness; and engaged citizenship. Through personal attention and dedicated faculty and staff, our students become leaders and the best in their fields, professions and communities. The University of Michigan-Flint has a vast array of educational opportunities for students. The university is a destination for students with concrete career plans, but also allows students to explore their various educational and professional options. It is a university where students can explore their future, and then begin to build it. The School of Education and Human Services offers programs leading to Bachelor of Science in Education, Bachelor of Social Work, Bachelor of Science in Substance Abuse Treatment and Intervention, Master of Arts in Education, Master of Arts in Educational Technology, Education Specialist, Doctor of Education in Educational Leadership. The College of Health Sciences offers programs leading to Bachelor of Science degrees in Public Health, Health Care Administration, Health Sciences, Clinical Laboratory/Medical Technology, Radiation Therapy and Respiratory Therapy, Master of Public Health (MPH), Master of Science in Health Care Management (MS), Doctor of Nurse Anesthesia Practice (DNAP), Occupational Therapy Doctorate (OTD), Doctor of Physical Therapy (DPT), Post-Professional Doctor of Physical Therapy (DPT), and Doctor of Philosophy in Physical Therapy (PhD in PT). The School of Management offers programs leading to the Bachelor of Business Administration degree in Accounting, Entrepreneurship and Innovation Management, Finance, General Business, International Business, Marketing, Operations and Supply Chain Management, and Organizational Behavior and Human Resource Management. Graduate degree programs include Master of Science in Accounting, Master of Business Administration, and Master of Science in Leadership and Organizational Dynamics. The School of Nursing offers four undergraduate academic pathways leading to the Bachelor of Science in Nursing (BSN) degree: Traditional BSN; Accelerated Second Degree BSN; Veterans to BSN; and RN to BSN. The SON offers the following graduate academic pathways: Master of Science in Nursing (MSN) Nurse Educator and Family Nurse Practitioner; Doctor of Nursing Practice (DNP) BSN to DNP (ACNP, AGNP, FNP, and PMHNP concentrations) and MSN to DNP (Executive Leadership and Advanced Practice); Doctor of Nursing Practice/Business Administration (DNP/MBA) dual degree; and Post-Graduate Certificates in Nursing in Psychiatric Mental Health Nurse Practitioner, Adult-Gerontology Acute Care Nurse Practitioner, and Nurse Educator. In addition to these programs, the University of Michigan-Flint offers the Master of Arts in Liberal Studies in American Culture, the Master of Public Administration, the Master of Arts in Arts Administration through the Horace H. Rackham School of Graduate Studies of the University of Michigan. The University of Michigan-Flint makes its academic programs available throughout the year by operating on a calendar that includes fall and winter semesters and shorter spring and summer terms. Courses are offered throughout the year in the late afternoon and evening as well as during daytime hours. Additional course offerings are available on Saturdays during the fall, winter, and spring terms. That day turned out to be September 23, 1956, nearly 120 years after Sarah penned the first recorded mention of a University of Michigan-Flint campus. On that autumn morning, 167 students began their first day at Flint Senior College (located where Mott Community College is today). Owing to the vision, generosity, and leadership of community leaders in Flint and Ann Arbor, the school continued to evolve and adapt in accordance with the needs of the community it was established to serve. In 1970, the North Central Association of Colleges and Schools accredited what was then called Flint College. In 1971, the U-M Board of Regents officially changed the name of the institution to the University of Michigan-Flint. That same year, University of Michigan President Robben Fleming appointed the first Chancellor of the University of Michigan-Flint, William E. Moran. In the late 1970s, the university began moving to the heart of downtown Flint, building a riverfront campus of modern buildings and amenities for its growing student population. In 2006, UM-Flint celebrated 50 Years of Excellence. The university finally became a residential campus in 2008 when 300 students moved into the First Street Residence Hall. The university continued to expand in 2015, when it bought the iconic former First Merit Bank building. The purchase stretched UM-Flint’s presence across Saginaw Street, the main street of downtown Flint. Later that same year, in one of the biggest donations the school has ever received, Uptown Reinvestment Corp. donated the 16-story, 340,000 square foot Riverfront Residence Hall and Banquet Center, which houses students and is also home to UM-Flint’s School of Management. In 2018 the University of Michigan-Flint broke ground on the $39 million Murchie Science Building expansion which will provide an additional 65,000 square feet of space to campus in the way of labs and lab support, classrooms, and faculty and student areas. Today, about 8,000 students are enrolled at UM-Flint. An ever-growing number of these students are international students, hailing from approximately 40 different countries. UM-Flint faculty, from over 100 areas of study, have gained an international reputation for their dedication to engaged learning. Professors pour their expertise and creativity into the development of research and service-learning projects that match course curriculum with the world’s most-pressing issues. These projects bring learning to life, address community needs, and fulfill students’ desires to contribute to the common good. In 2010, UM-Flint received the prestigious Carnegie Classification for Civic Engagement. Then in 2012, UM-Flint was selected as the first recipient of the “Engaged Campus of Year Award” presented by the Michigan Campus Compact. In 2016, the University of Michigan-Flint marked its 60th anniversary. It also established the School of Nursing as the fifth school and college at UM-Flint. In 2017, the University of Michigan celebrated its 200th anniversary. During both of these observances, UM-Flint celebrated with pride its unique contributions to the past, present, and future of the full University of Michigan story. In 2018 the University of Michigan-Flint changed the name of the School of Health Professions and Studies to the College of Health Sciences as to reflect both the public health and health profession programs within the School. 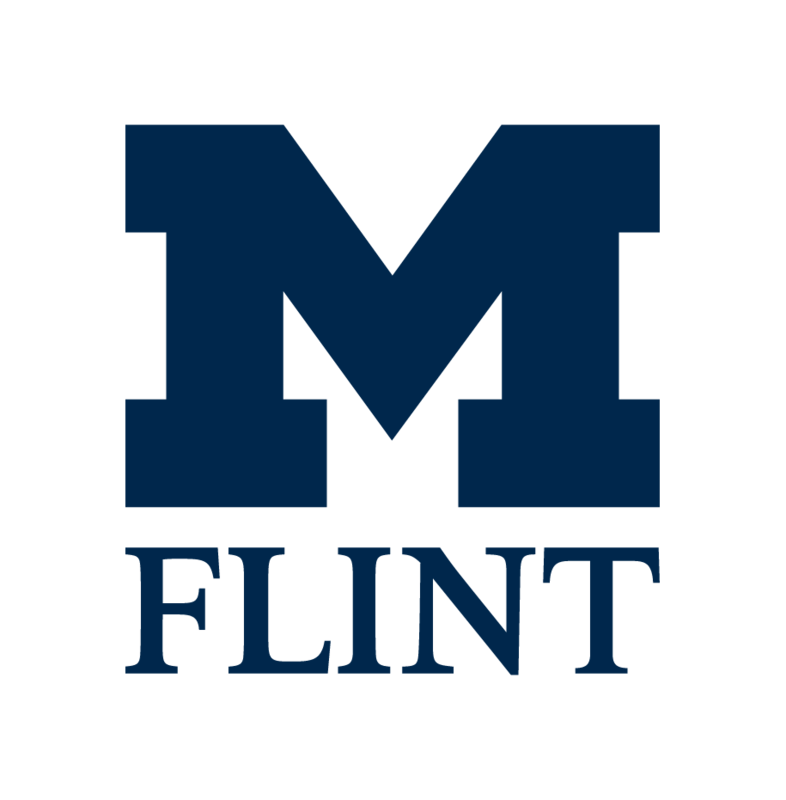 “Engaging Minds, Preparing Leaders through Academic Excellence, Student Centeredness, and Engaged Citizenship” is the vision statement of the University of Michigan-Flint. The University subscribes to the following mission: The University of Michigan-Flint is a comprehensive urban university of diverse learners and scholars committed to advancing our local and global communities. In the University of Michigan tradition, we value excellence in teaching, learning and scholarship; student centeredness; and engaged citizenship. Through personal attention and dedicated faculty and staff, our students become leaders and best in their fields, professions and communities. The University of Michigan-Flint, organized originally as the Flint College of the University of Michigan, is one of three campuses of the University of Michigan. From its founding in 1956, the University of Michigan-Flint has represented the combined efforts of the University, the State of Michigan, and the Flint community to develop and maintain a distinguished educational program for young people and adults of outstanding ambition, ability, and potential for leadership. Students at the Flint campus benefit from association with the entire University of Michigan system while also enjoying the many advantages of a smaller institution. At the University of Michigan-Flint, the student is the center of attention. Individual growth and intellectual development are encouraged through close and often informal association between faculty and students. All students at the University of Michigan-Flint, including those entering specific career and professional programs, are offered a well-rounded education in the traditional disciplines of the liberal arts and sciences. The urban setting of the campus and the need for competently trained professionals in education, government, business, and the health and human services fields have led to the creation of a variety of programs. These programs have been designed to provide professional training in relationship to study in the liberal arts and sciences, so that students can develop the knowledge, intellectual skills, values and attitudes which will help them make thoughtful and informed judgments about their experiences. The University of Michigan-Flint is accredited by the Higher Learning Commission, 230 South LaSalle Street, Suite 7-500, Chicago, Illinois 60604. Program-level accreditation is maintained by many University of Michigan-Flint programs in affiliation with: the Accreditation Board for Engineering and Technology, the Accreditation Council for Occupational Therapy Education, the American Chemical Society, the Applied Sciences Accreditation Commission, the Association to Advance Collegiate Schools of Business-International, the Association of University Programs in Health Administration, the Commission on Collegiate Nursing Education, the Commission on Accreditation in Physical Therapy Education, the Council for Accreditation of Educator Preparation, the Council of Education for Public Health, the Council on Accreditation for Nurse Anesthesia Educational Programs, the Council on Social Work Education, the Joint Review Committee on Education in Radiologic Technology, the National Association of Schools of Music, and the National Association for the Education of Young Children. Grounded in the principles of student-centered learning, our Assessment Program supports the institution’s mission to strive for excellence in teaching, learning, and scholarship. The program provides evidence of the knowledge, skills, and perspectives that students achieve as a result of their education at the University of Michigan-Flint. In gathering and analyzing the evidence of our effectiveness, we are able to improve the institution through reflective, sound decision-making, enabling the University of Michigan-Flint to prepare students as leaders in their fields, in their professions, and in their communities. Assessment of student learning and achievement is a campus wide endeavor that presents a variety of opportunities for students, faculty, staff, and alumni to provide valuable feedback to all units. Its primary purpose is to help understand and improve teaching and learning at the University of Michigan-Flint. Secondarily, it is used to support accreditation, research, grant funding, and other external purposes. The University encourages everyone to accept the responsibility and opportunity to participate in this important process. Additional information on assessment is available at http://assessment.umflint.edu. Alfred C. Raphelson, David M. French Professor & Professor Emeritus of Psychology; University of Michigan, Ph.D. Faculty and Staff listings may be found through the Campus Directory http://www.umflint.edu/phonebook. The University of Michigan-Flint welcomes inquiries in person, by telephone, or by mail. All University offices may be reached by dialing (810) 762-3000, or you may dial offices directly by using the numbers below. Inquiries or complaints may be addressed to the Institutional Equity Specialist, Office of Human Resources, 213 University Pavilion, Flint, Michigan 48502 (810) 762-3150 or to the Senior Director for Institutional Equity and Title IX/Section 504/ADA Coordinator, Office for Institutional Equity, 2072 Administrative Services Building, Ann Arbor, Michigan 48109-1432, (734) 763-0235, TTY (734) 647-1388. For other University of Michigan information call (734) 764-1817.